This slot has been out for a few years now but still proves massively popular with players due to its fantastic graphics and great range of bonus features. It’s one of the best-looking slots on Fruity Casa so if you are looking for a new slot to play then perhaps this could provide the adventure that you are seeking. 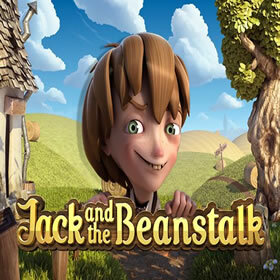 Read our Jack & the Beanstalk review for more info on how to play. The game has been developed by Net Entertainment so you are in for a high-quality gaming experience. 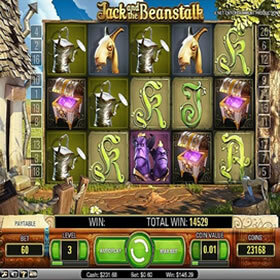 Jack & the Beanstalk is structured with 5 reels and 20 paylines which is a fairly standard setup for a game of this size. There is a base game jackpot of 1000X which is fantastic and really makes the game worth playing. 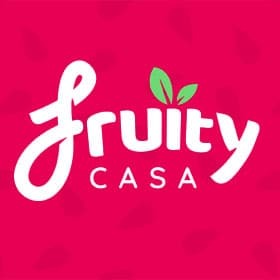 You can play for free on Fruity Casa as always but only for a limited time. Then you can play for real money with bets beginning from 20p and rising up to a maximum of £100. The design is arguably the best feature of the game with a fantastic outdoor setting. Jack is displayed on the left-hand side of the screen and you can also see his house in the background. The beanstalk is visible behind the reels and there are plenty of cool symbols located on the reels themselves. There is also an opening video animation when you play this game which sets the scene nicely and the music and sound effects aren’t too bad either although, you can easily turn them off if you wish. In addition to the base symbols, there are some bonus ones to look out for too. The first of these is the wild symbol which is the game’s logo. This symbol replaces all others except for the scatter which is the treasure chest. The wild can help you pick up additional winning combinations but also trigger the Walking Wild feature. When this triggers you’ll receive a free spin and as long as a win is awarded, you will receive another free spin and this can continue until the wild symbol exits the reel on the left. The final bonus feature is the free spins bonus round and this is triggered by the treasure chest bonus symbol that we mentioned. 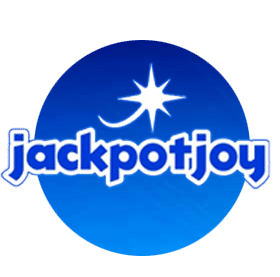 You have to land at least three or more of them on the reels to begin the feature and for your trouble, you will receive 10 free spins and also unlock an additional bonus game where you can try to collect keys and unlock some additional bonuses such as additional multipliers and coin wins. That completes all the bonus games on Jack & the Beanstalk but they really are great fun and occur frequently. We hope you enjoyed our Jack & the Beanstalk review and remember, if you want to play you can do so by heading over to Fruity Casa Casino and signing up for an account.